As previously reported, Yahoo is said to be having meetings this week about the possibility of selling off its core business and/or getting more out of its stake in Alibaba Group Holding. The Wall Street Journal reported late on Tuesday that Yahoo’s board would discuss these things in meetings Wednesday through Friday. Yahoo shareholders haven’t been incredibly thrilled with the Marissa Mayer-led company after three years. Activist shareholder Starboard called on Yahoo last month to put a stop to its plan to spin off the Alibaba stake, which is otherwise expected to happen next month. Starboard wants Yahoo to sell its core web businesses (search and advertising) instead. A later report from Kara Swisher, who has a long history of reporting on insider Yahoo information, said Yahoo’s board is behind Mayer and doesn’t want to sell the core web business. Swisher also says her sources indicate the company has already selected a CEO for Abaco Holdings, which is the what the Alibaba stake’s spinoff is called. The WSJ has a new report out naming companies likely to explore a purchase of Yahoo’s core business. These include Verizon, IAC/InteraActive Corp., News Corp., and Time Inc. 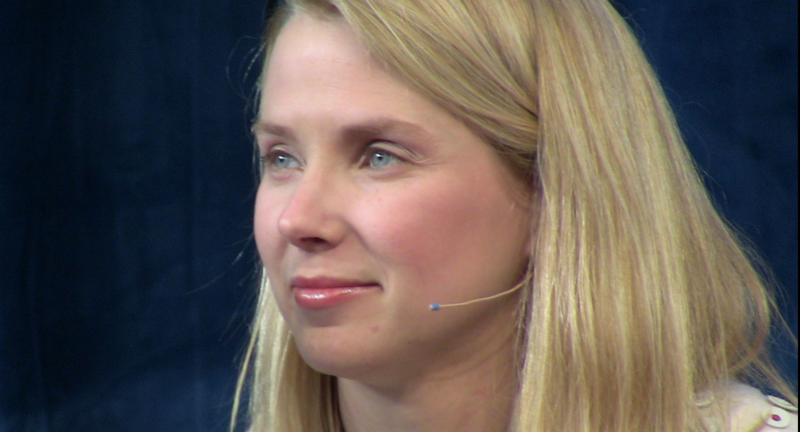 It also says private equity firm TPG Capital has looked at buying media properties within Yahoo. Naturally, Yahoo isn’t commenting on any of this.